A group of the world’s big energy, petrochemical and plastic manufacturing companies has just announced a massively funded programme to cut pollution by plastic waste, with a focus on Southeast Asia. The investment totals $1.5 billion, roughly equivalent to what the entire country spends during Chinese New Year. It is questionable whether it truly will help. Thailand is known globally as one of the world’s worst polluters. 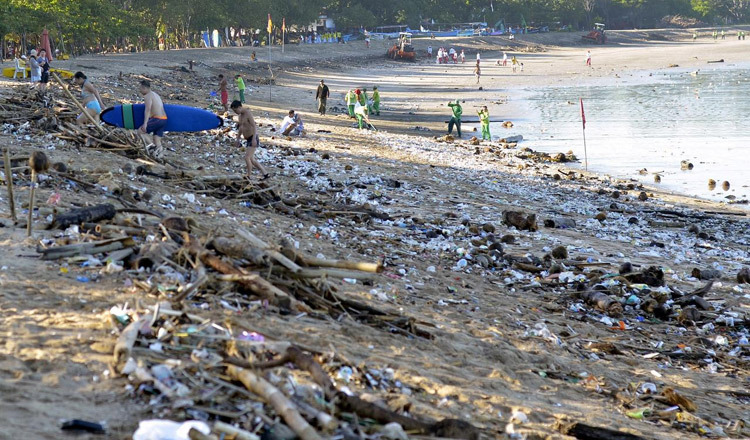 It ranks fifth or sixth among countries allowing plastic waste to wind up in the ocean. This waste is mostly from individuals. The popular plastic water bottle is a major pollution source, as are the single-use plastic bags from markets and supermarkets. We all produce more than a million tonnes of plastic waste and we aren’t careful about where it ends up. Next Tuesday is supposed to be another of the promised “no plastic bag” days at major supermarkets. It’s always questionable about whether these will really happen – or how much good they actually do. Such high-profile projects are welcome, and new national laws are needed. But a real reduction in plastic waste will only happen when every individual and community cares. The Tourism Authority of Thailand deserves credit for organising most of the important hotels into a new conservation effort. The Thai Hotels Association (THA) will take the lead in the industry’s efforts. THA president Supawan Tanomkieatipume said last month the first actual project would be an effort to replace plastic containers and various utensils with locally made biodegradable products. As an example, Ms Supawan said hotels are now reducing or cutting entirely the distribution of water in plastic bottles to every participant at meetings, seminars and the like. Meeting rooms have been outfitted instead with water coolers to serve all. No plastic straws will be used at such meetings either. Inevitably, there is criticism of this step as “too small”. But that is as untrue as it is unfair. The journey to massive reduction in plastic waste, like any journey, begins with a single step. The hotel owners are doing the right thing, plus they must look forward to figure out how to expand their programmes and add other facets. One obvious next step would be to conduct major in-house information projects to explain their efforts to guests, justify them, and then ask for guest participation in reducing plastic use. Take for example a person who buys a bottle of water daily for her own use. The simple purchase of a permanent water container would reduce plastic waste by 300 or more bottles per year. That’s a significant achievement once employed by thousands, then hundreds of thousands of individuals. Plastic conservation and reduced plastic use will, in fact, only occur as a massive number of such small steps. A good example was a decision last year by bottled water producers to stop using extra plastic seals over the caps of their bottles. The vast majority of those seals hit the gutters and, eventually, the ocean. Within a few months, not a single such seal will pollute the ocean, because no seal will exist. The $1.5-billion contribution from big global firms is welcome but possibly misdirected. It aims to create a large bureaucracy, based in New York, to “promote plastic recycling technologies” in Thailand and neighbouring countries. One suspects that directly investing that amount of money in a combination of educational and community-based conservation and environmentally aware programmes would yield a better outcome.